Bev Fearis headed to Brandon Lodge, Lulea, on the second day of her Swedish Lapland adventure with www.VisitLapland.com, a new website and one-stop booking portal to help travellers and agents check availability and book activities from across the Lapland region of Sweden, Norway and Finland. 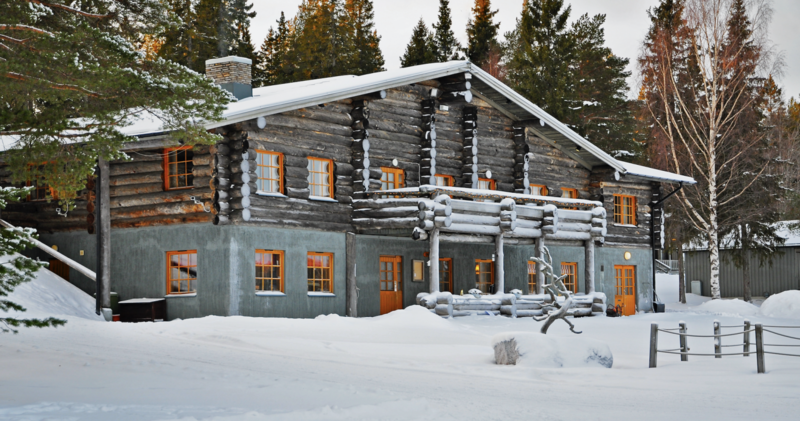 Brandon Lodge is the sister hotel to Pine Bay Lodge, both of which overlook the frozen sea and islands of the Lulea archipelago. The main building has a restaurant, cosy lounge with a roaring fire and a bar. 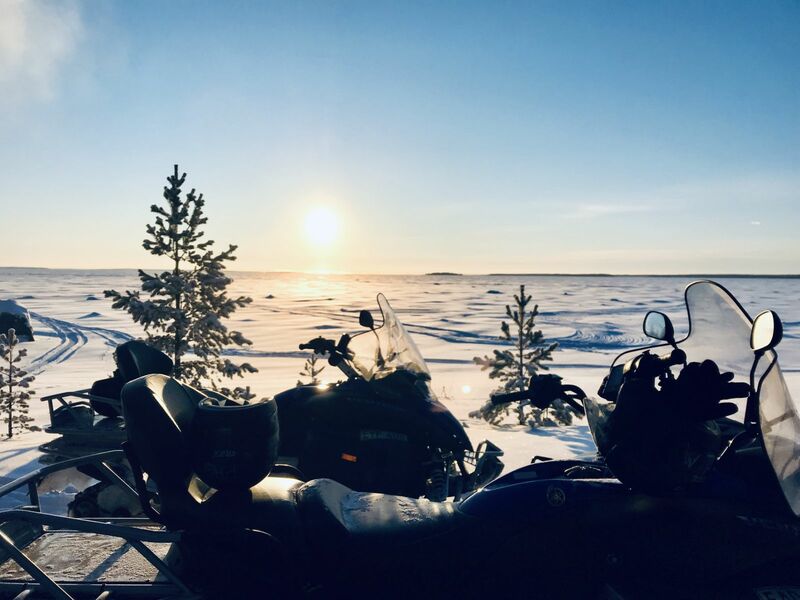 Guests stay in 15 ensuite cabins facing water and can choose from a number of winter activities, including snow-shoeing, snow-mobile trips, ice-fishing, and Northern Lights tours. Tommy, our trusty guide from the previous night's Aurora Hideaway Dinner, kitted us out once again in the much-needed winter overalls, balaclavas and helmets, complete with full visors. Although I'd come prepared with plenty of thermals and ski wear, which would have been sufficiently warm enough even in the coldest days in the Alps, here I needed those extra layers. Nothing had prepared me for the cold. Tell your clients to invest in good quality thermals, socks and gloves and to layer up. If in doubt, add another layer. It was mid-morning and the sun had now shown its face, giving the snow a beautiful mellow golden glow. It stays low until sun set (for us, around 3pm) when the gold turns to a pinky violet. It's absolutely stunning and very romantic. After a safety briefing, and some good advice about keeping our visors down to protect us from the wind chill, we were off, racing into the icy wilderness like baddies in a Bond film. Tommy was up front, leading us through a narrow path, skirting around a forest of snow-covered trees and uninhabited islands. My hands were so cold I had trouble keeping the accelerator held down and just about managed to keep up with the rest of the group, adding to the sense of adventure and exitement. Just when I thought my frozen-numb fingers could take no more, Tommy veered off into the trees and we came to a stop. He lit a fire and we huddled around to warm our extremities and defrost our eyelashes. He placed cinnamon rolls, known localled as bulle, on the grill to warm them through while he poured each of us a cup of steaming hot chocolate. He told us we were being treated to a typical fika, a Swedish word for a break with a hot drink and something sweet to eat to warm you in the cold. It worked a treat.